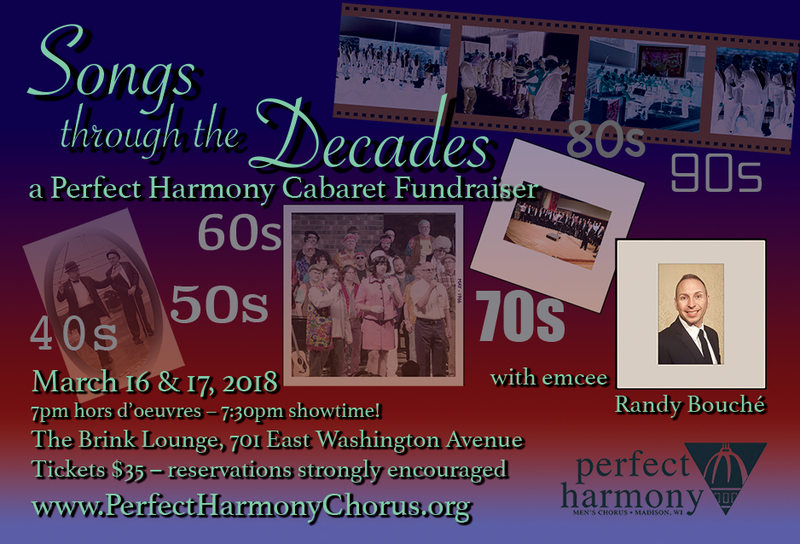 Perfect Harmony Men’s Chorus’ Annual Cabaret Fundraiser is back again! Fresh off their back-to-back sellout performances of last year’s cabaret show, Perfect Harmony brings you their new show, “Songs through the Decades.” Each performer will transport you to a different decade where you’ll laugh at a goofy song and costumed routine, and tear up over a tender voice singing your favorite ballad. Returning this year is guest emcee and veteran performer, Randy Bouché, whose choreography and energy brings new life to the cabaret show! 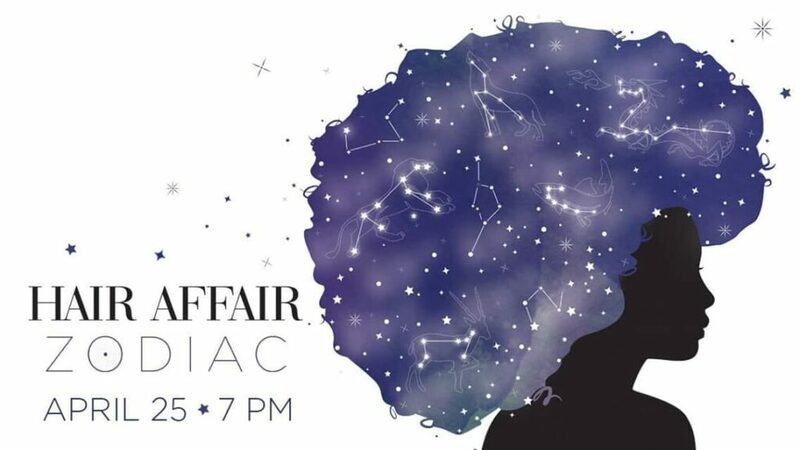 Arrive at 7pm to enjoy delicious hors d’oeuvres and a cash bar before the show, and start your bidding on silent auction items donated by our generous local community. Due to previous sellout performances, reservations are strongly encouraged. Please call 608-571-PHMC (7462), or visit www.PerfectHarmonyChorus.org to make your reservation today!